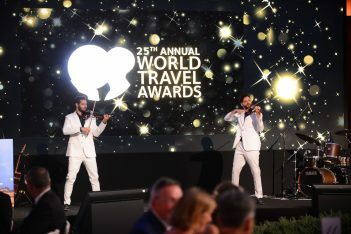 Athens has received three honors at the 25th World Travel Awards Europe Gala Ceremony 2018, which was held on Saturday evening in the Greek capital. The Acropolis in Athens, has been named Europe’s Leading Tourist Attraction for 2018. Hailed as “the Oscars of the travel industry”, the awards acknowledge, reward and celebrate excellence across all sectors of the tourism industry. Athens was announced Europe’s Leading City Break Destination 2018 among 13 nominees including Amsterdam, Berlin, Copenhagen, Paris, Rome and London. 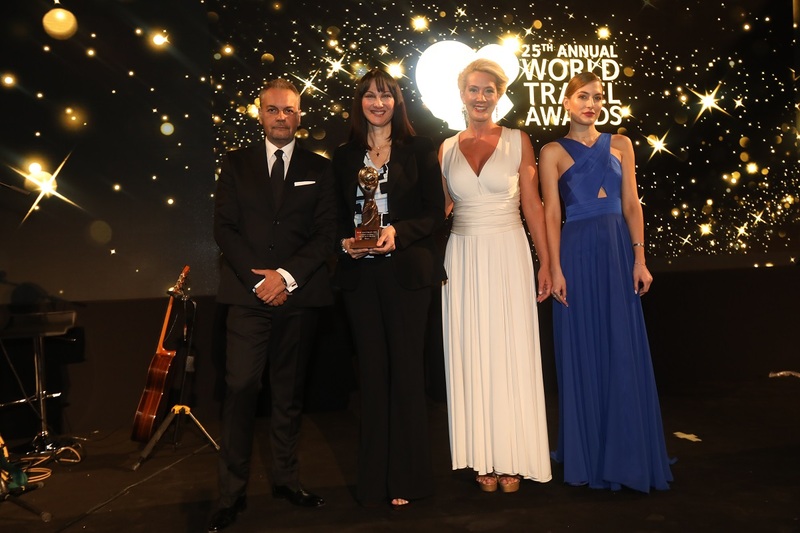 While receiving the award Greek Tourism Minister Elena Kountoura said that Athens has become a popular destination, with overnight stays currently reaching three to four on average. 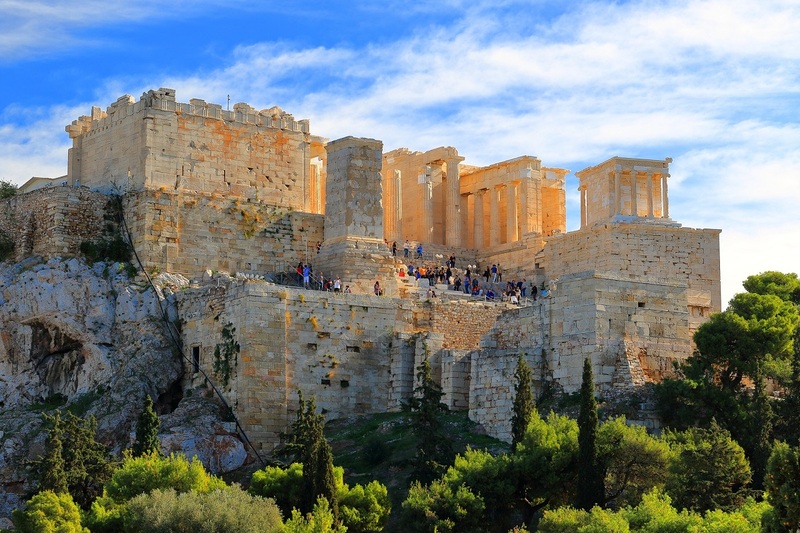 In addition, the Acropolis in Athens, has been named Europe’s Leading Tourist Attraction for 2018, among other landmark sites such as the Buckingham Palace in London, the Eiffel Tower in Paris and the Roman Colosseum in Rome. Furthermore, the Athens Convention Bureau was announced Europe’s Leading City Tourist Board 2018 among other nominees such as Madrid Destino; the Paris Convention and Visitors Bureau; the Rome Tourism Board; the Saint-Petersburg Committee for Tourism Development; Visit London and VisitBerlin. Moreover, the Greek National Tourism Organization (GNTO) won the award for Europe’s Leading National Tourism Strategy & Campaign 2018. Organized in collaboration with Greek hotel management company HotelBrain, the 25th World Travel Awards Europe Gala Ceremony 2018, recognized airlines, hotels, airports, casinos, travel agencies and destinations that are pushing the boundaries of industry excellence. Votes were cast by travel professionals and high-end tourism consumers. 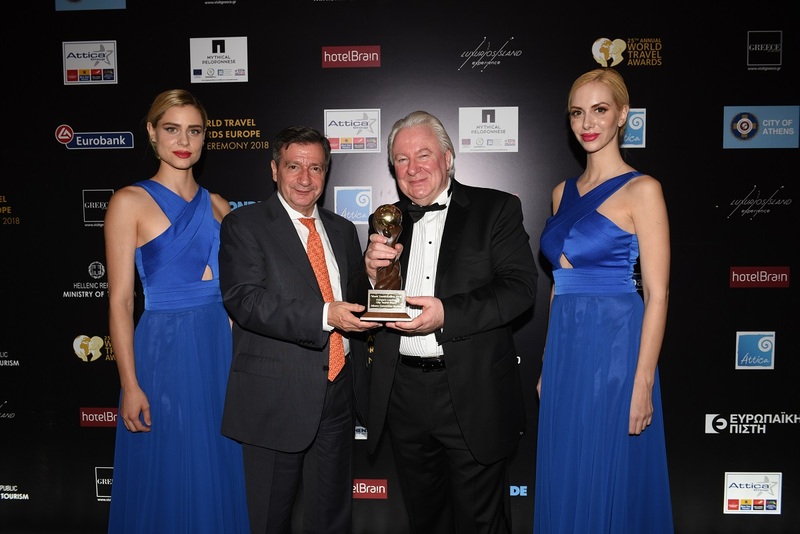 “It is a great honor to host the World Travel Awards in Athens. 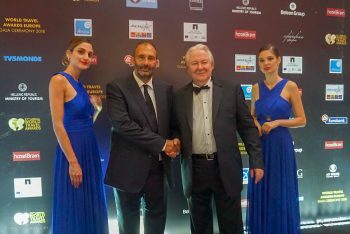 The event highlights Greece’s leading role in the tourism industry,” HotelBrain president and founder Panos Paleologos told GTP Headlines during the event. 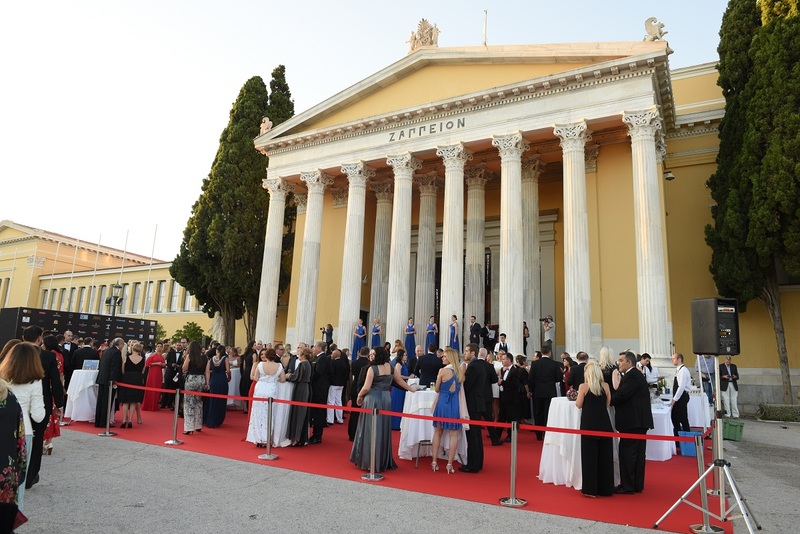 Hundreds of Europe’s leading travel and tourism figures attended the gala, which was staged at the historic Zappeion Megaron Hall. Speaking to GTP Headlines, WTA President Graham Cooke expressed his support to Greece’s tourism industry. “Greece is a marvelous tourism destination… The hospitality industry is very important for the country and there have been major improvements in the last ten years,” he said. Tourism Minister Elena Kountoura also spoke of the strong momentum of Greek tourism. “During the first five months of the year, revenues increased by more than 14 percent; international airport arrivals rose by more than 20 percent compared to 2017, while Greece is expected to receive more than 32 million travelers in 2018,” she underlined. Greek singer Rena Morfi in the 25th WTA Europe gala ceremony. 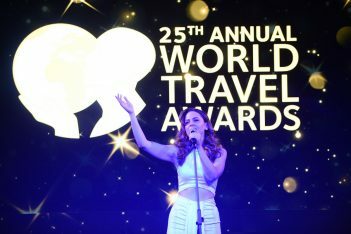 The evening marked the second leg of the WTA Grand Tour 2018 – a series of regional events to acknowledge the world’s outstanding travel brands. The tour began in April with WTA’s Middle East Gala Ceremony in Ras al Khaimah, United Arab Emirates. WTA is also staging ceremonies in Hong Kong, Montego Bay (Jamaica), Guayaquil (Ecuador) and Durban (South Africa). The regional winners will progress to the Grand Final, which will be hosted in Lisbon, Portugal, on December 1, 2018. A full list of WTA 2018 winners can be found on www.worldtravelawards.com. Eleftheria has worked for several financial newspapers, magazines and websites during the past 19 years. Between 2004 and 2014 she worked as a radio producer, reporter and presenter for the Greek and English language program of “Athina 9.84 FM”. She also has hands-on experience in the MICE industry.